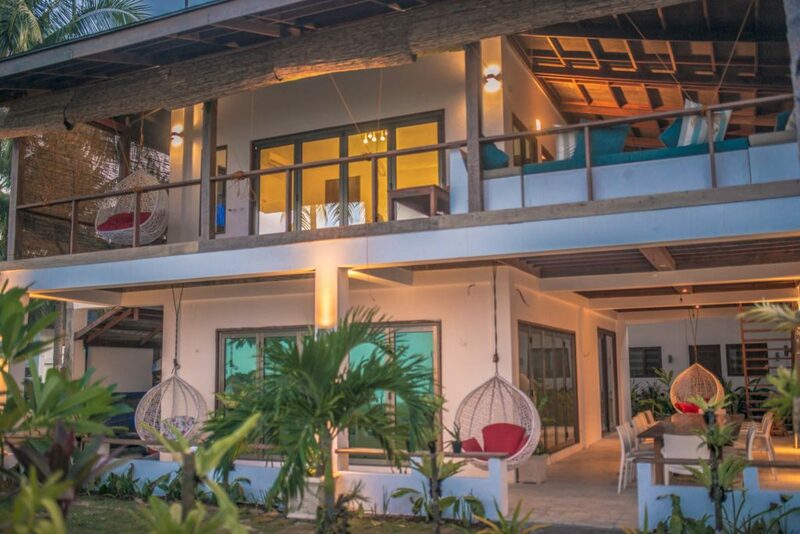 Viento Del Mar is a beachfront Surf & Kitesurf Party Hostel in Siargao Island, Philippines. Right in the heart of General Luna, Viento Del Mar is perfectly located for activities in Siargao. Come and enjoy our Tuesday & Friday parties and experience Siargao’s Best Nightlife. Surf enthusiasts will love being able to paddle out to several surf breaks or hopping on their motorbikes for a five minute drive to the world famous reef break Cloud 9. And the wide, shallow lagoon in front of Viento Del Mar is ideal for kitesurfing during Amihan season. Direct beachfront access to surf and kite surf spots makes Viento Del Mar one of the most conveniently situated Siargao Hostel. The resort features an upscale restaurant and bar that is open from 7:00AM till 10:00PM. Chef Kirby uses fresh, locally sourced ingredients to create a variety of delectable fusion dishes. Check our full menu. The bar serves traditional and tropical cocktails, beers and non-alcoholic drinks. A boutique Siargao party hostel with only seven rooms, Viento Del Mar has a special atmosphere where each guest is known by name and taken care of by our small staff. We offer four types of rooms, ranging from our quadruple dorm room to our luxurious Ocean View Suite. Check out our room pictures and amenities to determine which one is the perfect accommodation in Siargao for your tropical getaway. Travellers with high end taste and a backpacker budget will appreciate our dorm room that sleeps four and has an ensuite bathroom. While three aircon rooms with a shared bathroom will let you afford a private room at a beachfront resort in Siargao for a reasonable price. Our deluxe rooms are on the second floor where it’s easy to take advantage of the wrap around balcony and ocean view lounge. These two aircon rooms with ensuite bathrooms are appointed with elegant furnishings, high quality bedding, and waterfall showers. And finally, the crown jewel of Viento Del Mar is our Ocean View Suite. Popular amongst honeymooners, it has a gorgeous stand alone tub, ensuite bathroom with waterfall shower, and private balcony. Viento Del Mar started our own kitesurf school in Siargao in October 2016. 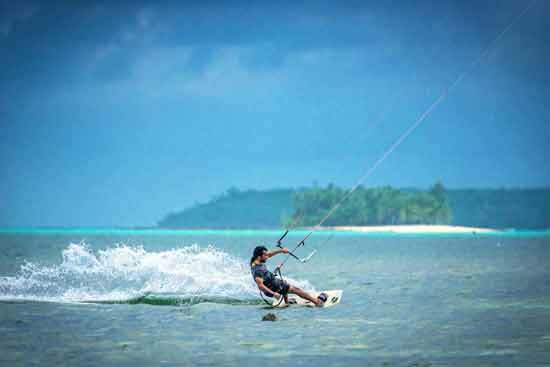 Kitesurfing is starting to gain popularity in Siargao as an alternative to surfing during windy days. Our instructors give kitesurfing lessons in the uncrowded lagoon in front of the resort. At the same time we also offer kitesurf gear rentals for kitesurfers who already know the basics. Learn more about Viento Kite School rates here. Starting in July 2017, Viento Del Mar will open our own Surfing School in Siargao. A wide selection of surfboards for rent and in-house surf instructors will be available so you can take your surfing to the next level. In addition to being a surf & kite surf resort in Siargao, we also offer various holiday packages so our guests can enjoy a hassle-free holiday suited to their personal interests. Siargao island is stunning. 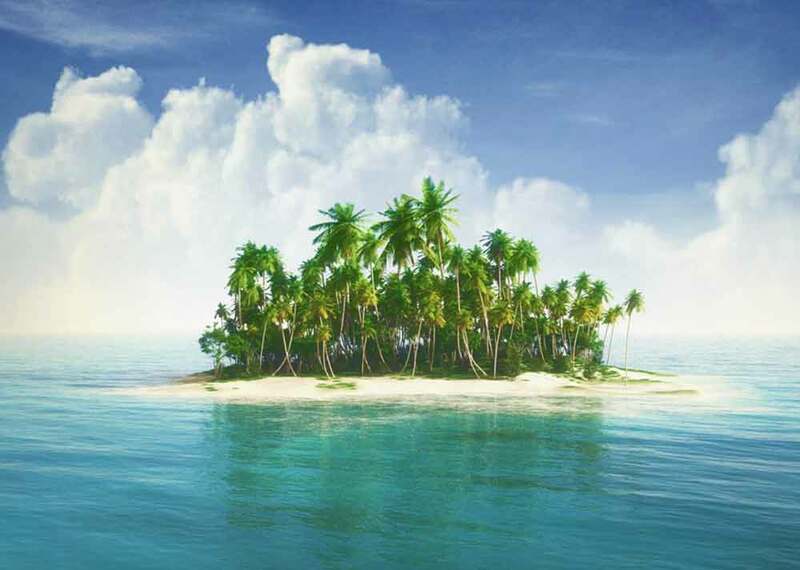 White sand beaches, clear turquoise water and acres upon acres of palm trees give Siargao its tropical paradise charm. Also Filipinos are renowned for their friendliness and hospitality. 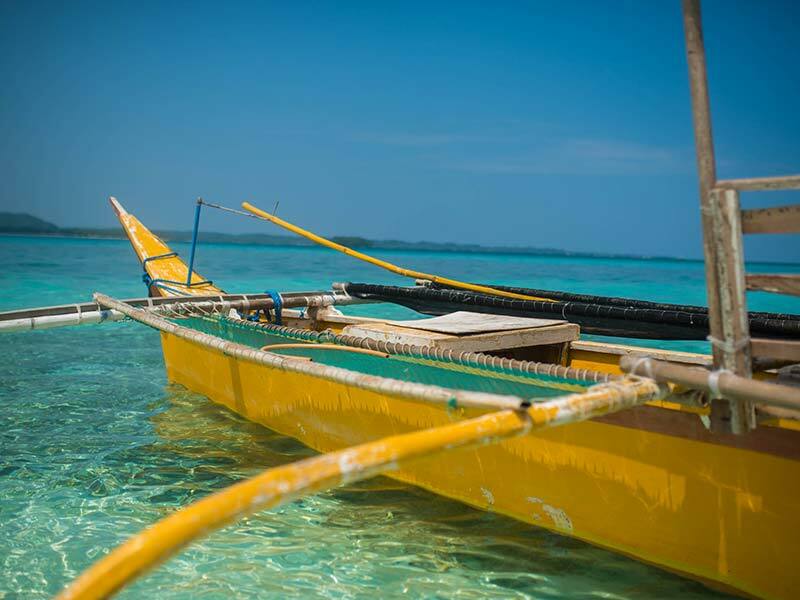 Discover the best spots and make the most of island life with our Siargao tours. Viento Del Mar offers weekly group tours to Sugba Lagoon, Island Hopping to Daku, Naked Island and Guyam, as well as Island Hopping to Corregidor and Dagohoy beaches. Each tour includes a lunch of freshly grilled fish and tropical fruits. We also arrange private tours upon request. Check out the Siargao Guide to find out more about various activities in Siargao Island. 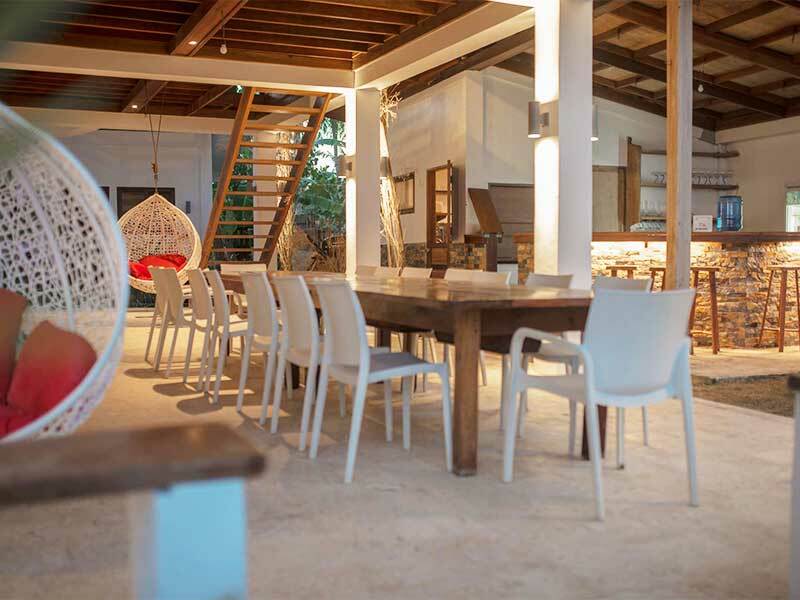 Viento Del Mar hosts two very popular weekly events in Siargao. Trivia and Art Night is a favorite within the local community. Every Tuesday from 6:30 till 11PM residents and guests gather for various art projects, jamming sessions, craft cocktails and wine. Party goers wait all week for Viento Fridays, which is a can’t miss event. Every Friday from 9pm till 1am, the best island DJs play everything from Tropical House to Throwback Hip Hop. Beach bonfires, beer pong and a dance floor create a wild island vibe. 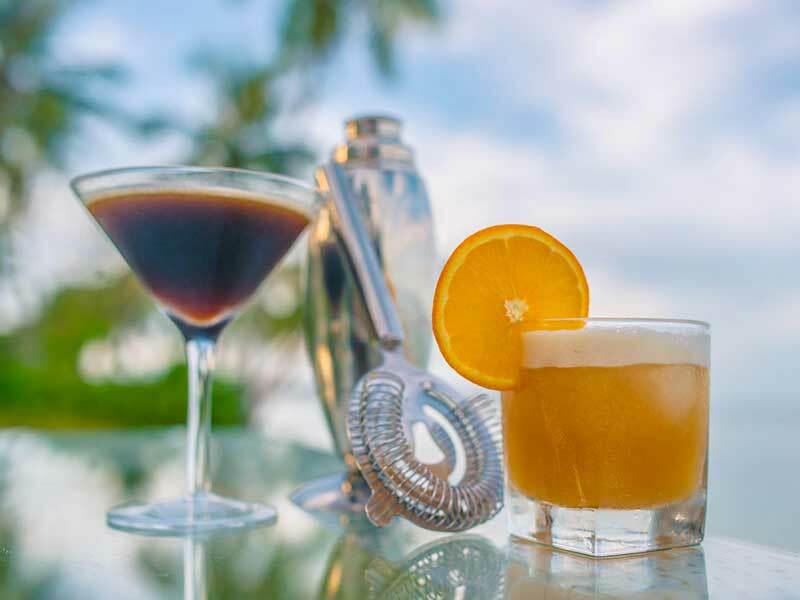 We’re proud to be the Siargao resort that offers the best mix of chill, creativity, and party. Peach and Sam are so welcoming and always available to help you out. The staff are amazing, so friendly and efficient. I stayed a week and already part of a family. The hotel and staff was lovely! also has great food and lounging area! Siargao's best resort hands down! Most Kind People, Best Sport. Dying to come back! Book a Package & Save! Visit our Siargao Resort. We offer a range of Siargao packages to suit all budgets and interests. Our basic Eat Sleep Wave Repeat package will appeal to those looking to learn surfing or get as much wave time as possible, while our Ultimate Siargao Package is tailored to those who want to experience the best the island has to offer. We bundle accommodation, food and trips with other amenities such as surfboard, kayaks, SUPs, tubes, and more, to save you money. Check out our package page for info. Our 7 room beachside Siargao resort is perfect for your island escape. 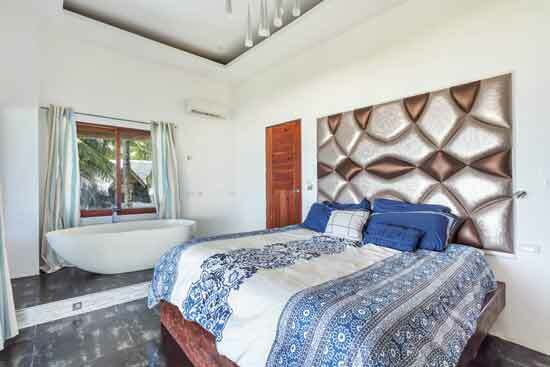 With a guesthouse feel, Viento del Mar offers two relaxing areas to chill with friends and other travellers in between surfing, kiteboarding and other activities the island has to offer. We have four room types; 3 fan rooms with 2 common bathrooms, 2 luxury AC rooms with private bathrooms, and 1 Oceanview Penthouse suite and 1 quadruple bunk beds room. Siargao is a prime destination for outdoor activities. Water sports enthusiasts can enjoy free diving, PADI certified scuba diving, kitesurfing, surfing, stand up paddle boarding, and kayaking. Explore the island and its surroundings by taking a day trip. Popular options include island hopping to Daku, Guyam and Naked Islands, Magpupungko natural rock pools, Sohoton Caves, and Sugba Lagoon.There’s so much to see and do, make sure not to miss any of it. 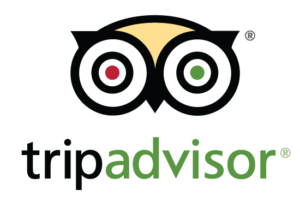 We will gladly help plan a custom itinerary for you.